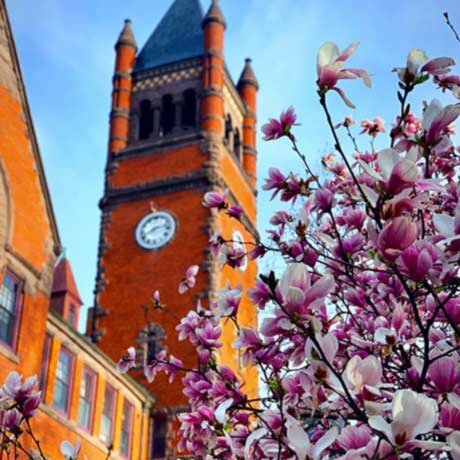 Gettysburg College is excited to offer several opportunities for high school students over the summer months. Subjects include psychology, creative writing, or information technology — learn more about our summer programming below! Camp Psych provides rising high school sophomores, juniors and seniors a window into how psychological science works. Campers will get hands-on experience that introduces them to research in psychology in a fun, challenging, and engaging environment. Campers will not simply learn about cutting edge issues and research in psychology this camp gives students an insider view of the field as well as preparation for college studies. Come enjoy a college-level creative writing experience. In our seminars and workshops you will develop your unique writing voice, and write your own story in one or more genres--poetry, fiction, nonfiction, and writing for stage and screen. Prepare to be inspired. Meet new friends who share your passion for creative writing and your interest in poetry, fiction, nonfiction and writing for stage and screen. Be inspired by our seminars and workshops, and develop your own story in one or more genres. Cost: $1,275 for lodging for five nights, meals and activities including a day trip to D.C.
To use software to design simple objects from scratch and to modify existing objects to their vision. To print their models using the 3D printer that they will get to take home! The inner workings and parts of a 3D printer. Learn and understand the basics of physics in electricity. Learn to think like a computer scientist by solving problems through logical computation. Gain experience through hands-on projects, such as building and programming their own robotic car. The High School Student Scholarship Program component of Gettysburg College’s annual Civil War Institute summer conference provides high school students an opportunity to explore the history of the Civil War era on the site of the war’s most decisive battle. Participants will join conference sessions, interact with noted historians, and participate in special tours and programming geared toward high school students, including a historical simulation activity revolving around the 1863 New York City Draft Riots. The Sunderman Piano Institute is an opportunity for young pianists to challenge themselves as performers and broaden their musical experiences, within a warm, supportive and engaging environment led by experienced conservatory faculty. Students will improve their performance skills, collaborate with other pianists, and explore related musical subjects through classes, rehearsals, activities, and performances.